It’s no secret that I’m a massive fan of the work Jason Sondi and Andrew S Allen do over at Short of the Week – I also have the honour of being part of the writing rotation. 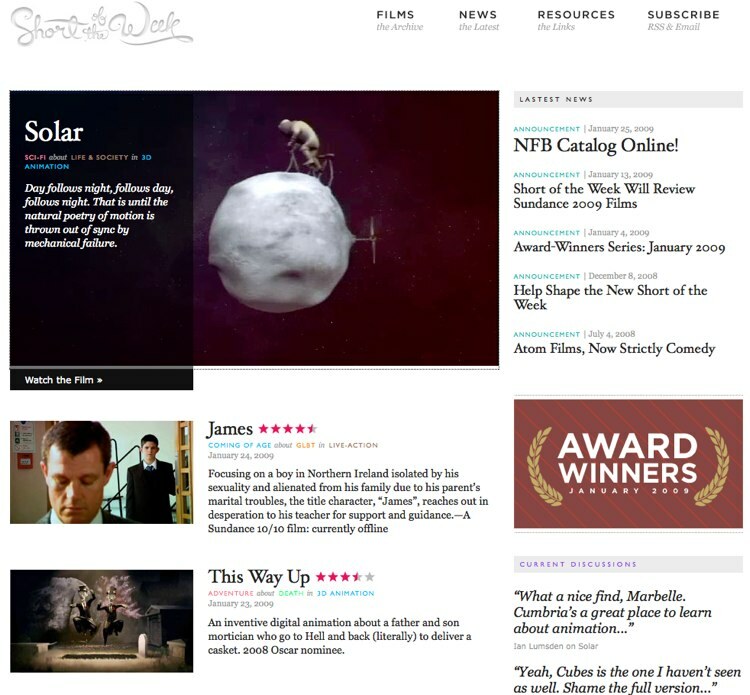 After polling regular visitors for their opinions SotW has relaunch with a spanking new look that’s just plain lickable. 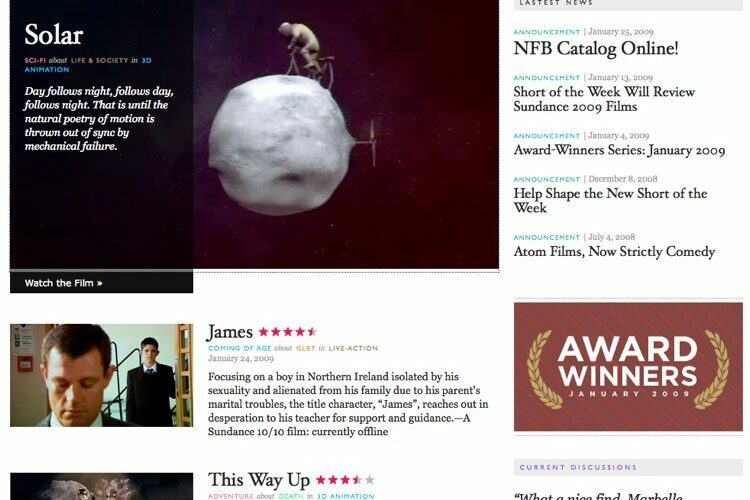 If you haven’t been tempted to visit the site from my previous prompts, now’s definitely the time to point your browser over there to have a read and watch of some of the best online shorts have to offer. The new SotW site is looking awesome and the contributors (which now includes me!) have a refreshingly eclectic taste in shorts. Thanks a bunch for this week’s pick El Vez!